International commodity prices, both individually and as a group, exhibit dynamic behavior that is at once compelling and abnormal. These prices are established in world markets that relate the supply of the product with demand for it. Dynamic stability of equilibria in these markets suggests that time series data on these prices should exhibit reverting behavior. Yet empirical time series analyses (unit root tests) of international commodity prices typically reveal them to be, both individually and collectively, highly persistent or even non-stationary. Wang and Tomek (2007) note that price theory suggests that commodity prices should be stationary in their levels. Kellard and Wohar (2006) indicate that the Prebisch-Singer hypothesis implies that commodity prices should be trend stationary. They emphasis that the conventional unit root tests are inappropriate due to their low power and report some evidence of nonlinear stationarity. Our approach differs from these studies in that we accept the finding of nonstationarity of commodity prices and attempt to isolate its source. Our premise is that if this non-stationary effect can be factored out, then the correspondingly filtered commodity prices will be consistent with economic theory. The prices of most internationally traded commodities are denominated in dollars, and the US nominal exchange rate, whether the $/£, the $/U, or the dollar relative to some trade weighted index of currencies, is known to be non-stationary. If a product’s price is stated in US dollars, a depreciation of the dollar should lead to an increase in the price of the product to maintain the same world price. The nominal commodity prices and relative commodity prices, prices deflated by the US Consumer Price Index(CPI), since aggregate price indices such as the CPI are much less volatile than world commodity prices, the dynamics of relative prices often resemble that of nominal prices. We cannot address the theory/evidence dichotomy until we determine what factors are responsible for changes in commodity prices. For example, Chen et al. (2008) study the dynamic relation between commodity prices and nominal exchange rates, finding substantial out-of-sample predictive content of exchange rates for commodity prices, but not in reverse direction. Groen and Pesenti (2010) report similar but much weaker evidence for a broad index of commodity prices. Gospodinov and Ng (2010) report strong evidence of pass-through of commodity price swings to final goods prices. We begin our inquiry by conducting a factor analysis on a panel of 51 international commodity prices from January 1980 to December 2009 and testing the common factors for stationarity. We accomplish both of these objectives jointly by employing the PANIC (Panel Analysis of Non-stationary in Idiosyncratic and Common Components) procedure recently developed by Bai and Ng (2004). We prefer this method to other so-called second generation panel unit root tests, such as Phillips and Sul (2003), Moon and Perron (2004), and Pesaran (2007), because the latter methods assume that the common factors are stationary, which we believe is not true for commodity prices. 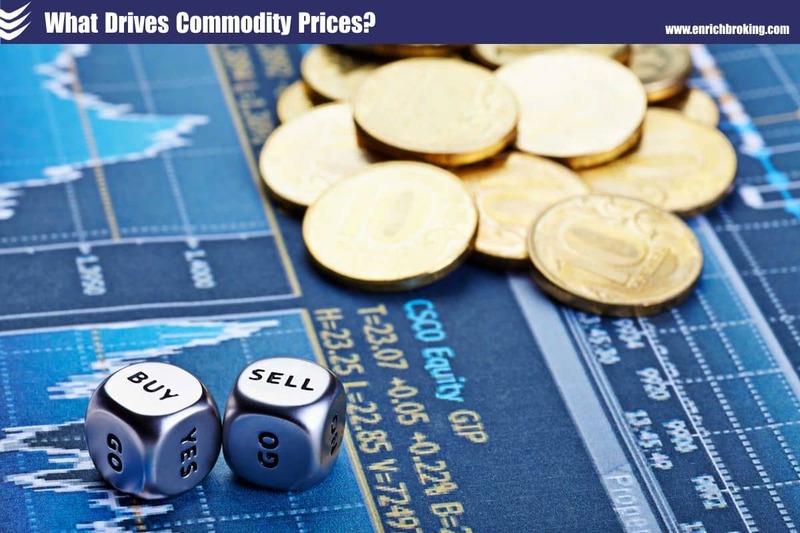 Based on this analysis, we are able to identify two common factors for both nominal and relative commodity prices. Testing results suggest that the important factor is non-stationary, while the second common factor and the idiosyncratic components are both stationary. Graphical evidence suggests that the first common factor is a mirror image of the US nominal trade-weighted exchange rate. An out-of-sample forecasting analysis shows that the exchange rate is predicted statistically significantly better by a model employing the two common factors than by a random walk model, further supporting the inference that the first common factor is measuring the effect of the nominal US exchange rate on commodity process.